When we go out to eat with our Tex-Mex neighbors, Glenn and Ana Maria B., who like to take advantage of happy hour prices at their favorite authentic Mexican restaurants in San Antonio, Texas, Highlander would order a cerveza (beer) while Islander tries a margarita. She personally finds the alcohol too strong for her tastes. 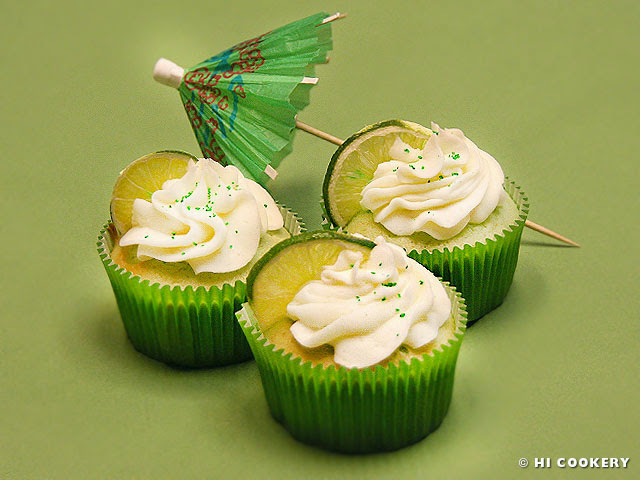 But she likes margarita cupcakes over the cocktail and often bakes this boozy dessert for fiestas and get-togethers. 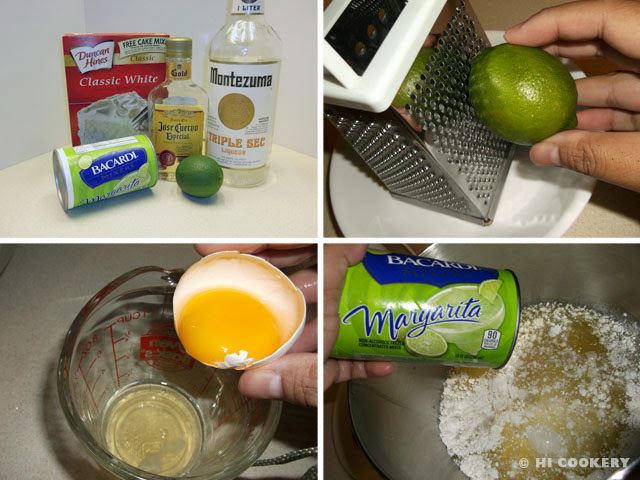 Make margarita cupcakes for National Margarita Day. Son muy deliciosos. Zest the lime and set aside. Separate the eggs, reserving the yolks for another recipe. In a large mixing bowl, combine the cake mix and egg whites. 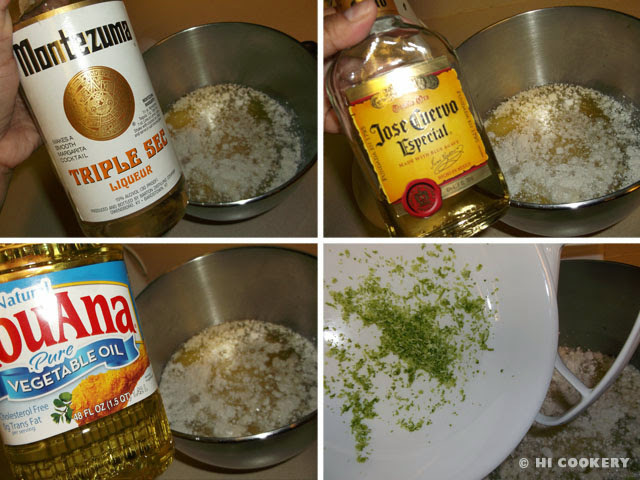 Add the lime margarita mix, orange liqueur, tequila and vegetable oil. Mix in the lime zest. Tint the batter with green food coloring. Blend until smooth. Scoop batter into cupcakes papers lining a muffin pan. Bake in a preheated oven at 350 degrees F for 20-25 minutes, or until done. Remove from the oven and cool completely. Yield: 2 dozen. Cream the butter. Gradually beat in the powdered sugar. Add the vanilla. 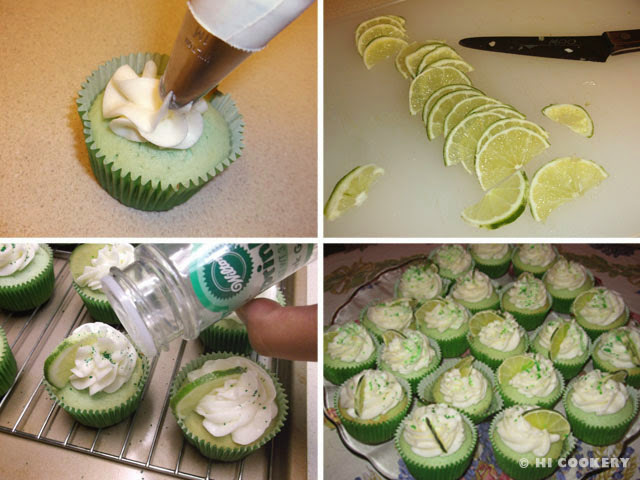 Thin with 2-3 tablespoons of lime margarita mix until the frosting is a spreadable consistency. 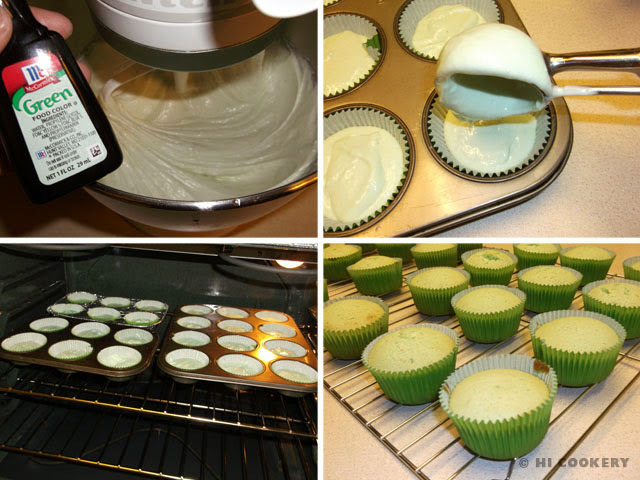 Frost the cupcakes (or fill a pastry bag with frosting and decorate with a swirl on top; we used Wilton tip 1M). Garnish with a lime wedge/slice. Sprinkle green sugar on top. Refrigerate to set. Thaw at room temperature before serving. 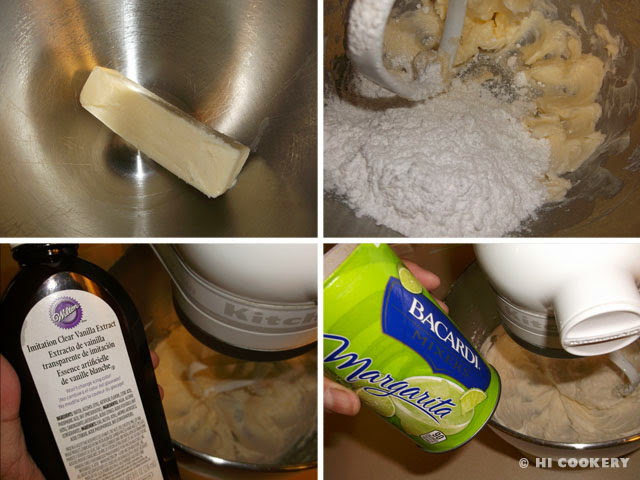 Also try our Texas Margarita Pie recipe for National Margarita Day. Search our blog for other Mexican-inspired recipes.